Yesterday was my best friend’s birthday. Usually I bake something to give her as a present as she doesn’t bake much. So obviously this year was no different. So with all the ingredients ready I was on a mission to bake some eggless carrot muffins.I had got the recipe from a blog I can’t remember and was there in the book under the heading ‘try out’. I didn’t scrutinize the recipe, thinking that most are written out well and do turn out pretty good. So while I was mixing and measuring, realised that the batter was turning out too dry. So putting my know how of baking into action had to re vamp the recipe and start afresh. The end result was soft and not too sweet muffins. Perhaps next time I should add a cream cheese frosting on them. Sieve the flours, baking powder, soda bicarbonate, cinnamon powder and salt together. Add grated carrots and raisins to the flour. Mix well. Mix the oil, yogurt and sugar together in a bowl. Whisk it well to emulsify the mixture. Pour it into the flour mixture. Mix just till the flour gets wet. Don’t over mix. Prepare the muffin tray or molds by putting paper cups into it. Spoon the batter ¾ of the way into each cup. Bake the muffins for 20 to 25 minutes till the tops are golden brown and the muffins are done. Can use nuts instead of raisins. Top the muffins with sunflower seeds, chocolate sprinkle or oats before baking. I prefer to use brown sugar as it gives a nice golden colour to the muffins. If you are using a mixture of nuts, raisins, chocolate chips, make it up to ½ -¾ cup. 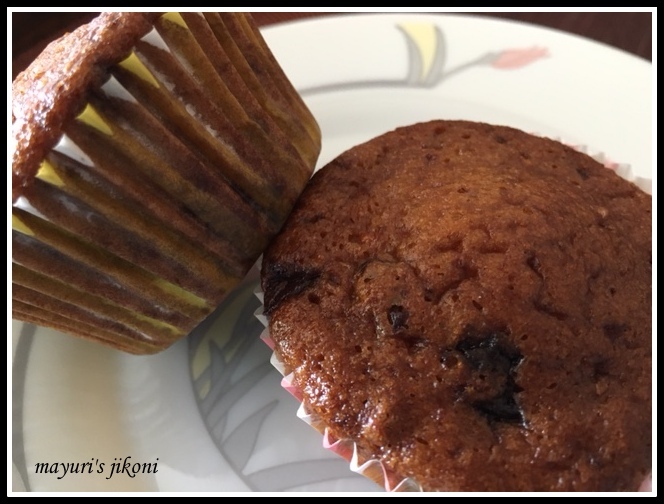 I find ½ cup sugar just right, if you like sweeter muffins add ¾ cup. Birthdays should be always celebrated with delicious cakes like this!